Preparing for house guests can be overwhelming, but with some thought and preparation, it can be so simple! I used to stress up until my guests arrived, even though I thoroughly prepared for their arrival. I became so stressed, that I usually missed out on time I should have been enjoying the visit, instead of scrambling to finish the preparation throughout the evening. Crazy, right? It took me a long time to realize that this is NOT a hotel, it is my home. My “lived in” home, and while I am the type of hostess that wanted everything to be perfect, it was pretty darn close and I didn’t know it. My guests, who are typically family, were coming to see “US”, not my cabinets, my refrigerator, my laundry room. I obsessed over every corner, every surface and tried to make the whole house spotless. Then once the guests arrive, everything gets moved around and messy! 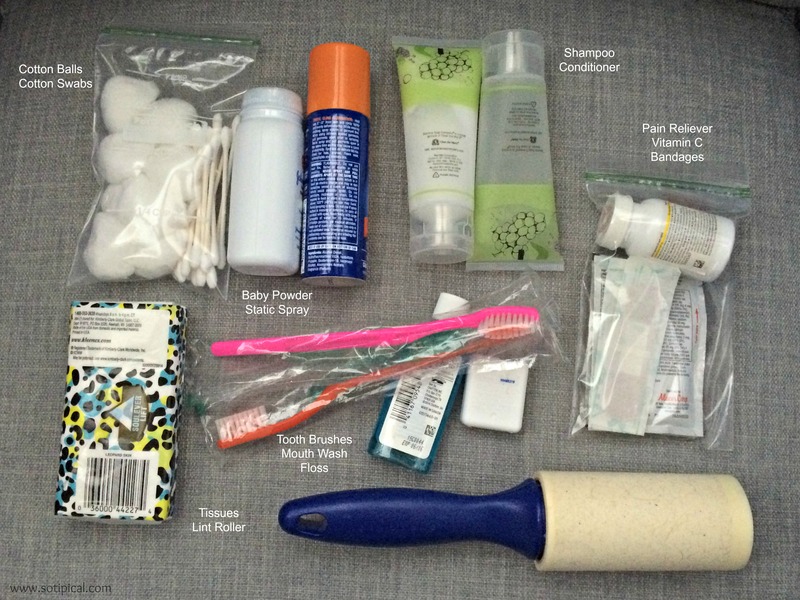 I have since created a simple check list and “guest kits” that help me in preparing for my guest’s arrival. Other than the meal planning, which may include a quick trip to the grocery store, I can get this all done in under an hour! Part of being able to do this all quickly is to make sure you are stocked up on all the essential items! I shop at Costco, where I stock up on my Proctor & Gamble necessities like Bounty Paper Towels , Charmin Ultra Soft, Swiffer Sweeper Dry Pad Refills, Swiffer Sweeper Wet Mopping Pad Refills, Cascade Complete ActionPacs, Tide Pods and more! I actually do more than 80% of my shopping at Costco for my grocery and household needs. I don’t like getting caught without basic household items, which is why we prefer to shop in bulk. 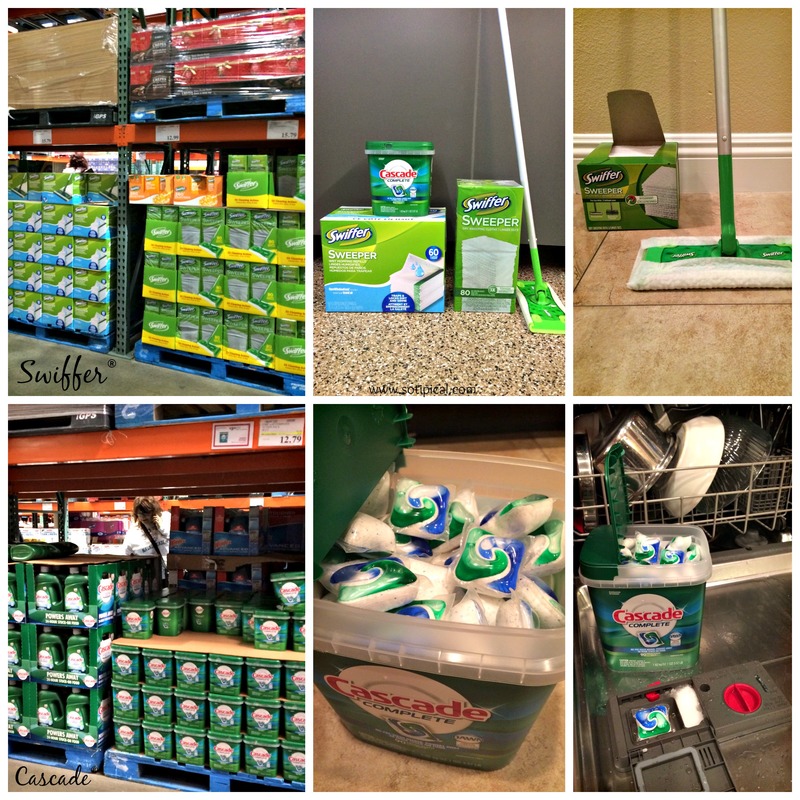 With the holiday season coming, I especially don’t want to be caught without items like laundry soap, dishwasher soap, paper towel and my Swiffer Sweeper refills. I cook so much more when we have guests and I often find myself running the dishwasher twice as often. There is no way I want to be hand washing the dishes when there are twice as many! Now let me tell you about my “Guest Kits”. If you have guests with any frequency (more than a couple of times per year), then I encourage you to make these kits for yourself! It is one of the best organization tips I have ever come up with!!! Now, you know those plastic zipper cases that bedding sets come in? I have always saved them and we would store our holiday linens in them. We redecorated the kid’s rooms this last year, which meant new bedding, so I had a couple of extras. While we were staying in a hotel over the summer, I pulled out the extra bedding from the closet to make up the sofa bed for the kids. The sheets and blanket were in a similar type plastic case and it occurred to me that I could do this at home too. We don’t have a guest room, but one of my kids has a trundle bed. Whenever we have guests, they stay in her room, where we have the extra bed. 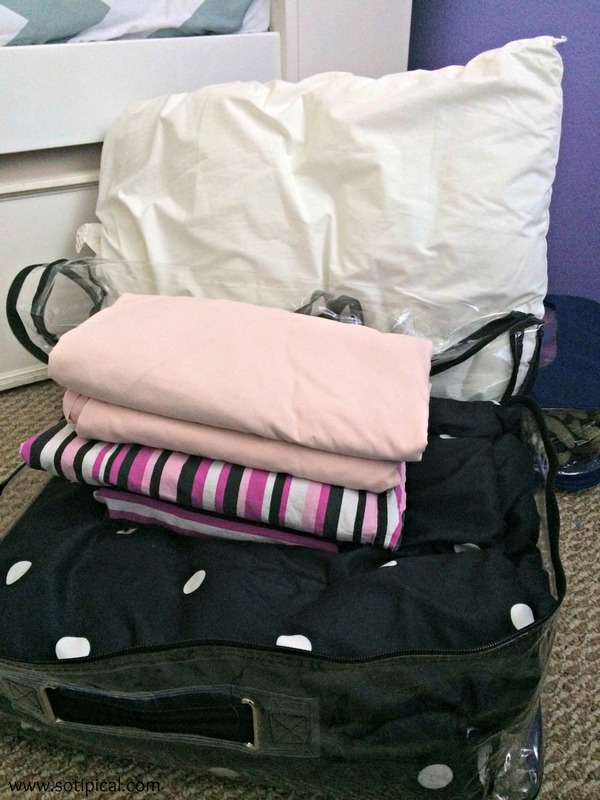 I filled a larger case with an extra pillow, two sets of sheets and an extra comforter. We already have an extra pillow in her room that is in the sham. We just remove it and use it as the second pillow when we have guests. This way, I can quickly strip her bed and I have two sets of sheets for two beds. I don’t have to fuss with looking for matching pillow cases, or looking for extra blankets. Its all right there! No fuss! Then I had a smaller case that a memory foam pillow came in and it was perfect for two sets of towels and a variety of toiletries that our guests may need. Again, no need to fuss around looking for matching sets, an extra toothbrush, floss or cotton swabs. I have them packaged together, ready to go, even when we have a last minute guest. Seriously, this is the BEST ORGANIZATION TIP EVER! I put them in my daughter’s bedroom on the day our guests will arrive, along with a couple of bottles of Kirkland water. Here are some basics that I include in my “Bath Kit”. Sometimes the contents may vary a bit, but here are the most common items. I have cute little lap dogs, which means they will wiggle their way into the laps of our guests, so I always include a lint roller, so they can easily clean up afterwards. Storing my two kits are easy. 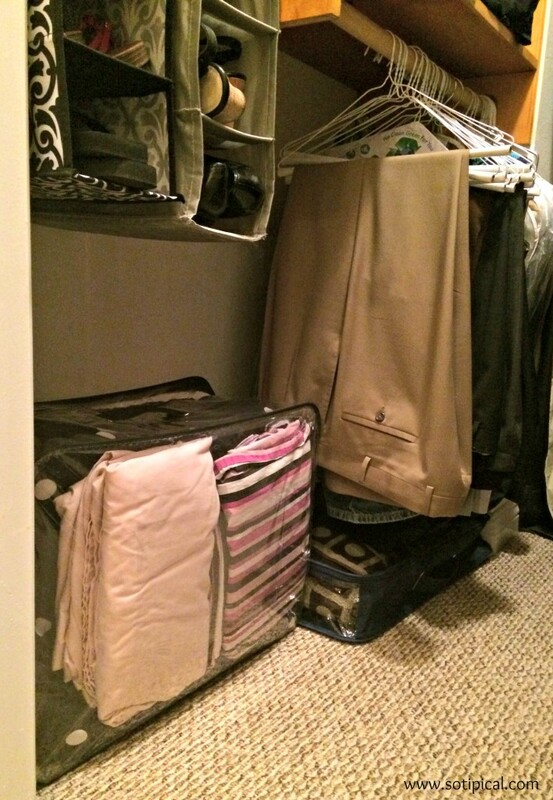 I just keep them at the bottom of my closet and they are always ready for our guests to arrive! Having overnight guests has become so much more enjoyable now that I prepare ahead of time. It takes a lot of the extra work and stress away. Your memories of a nice visit will last so much more than a perfect looking home. The quick tips will save you time and piece of mind. 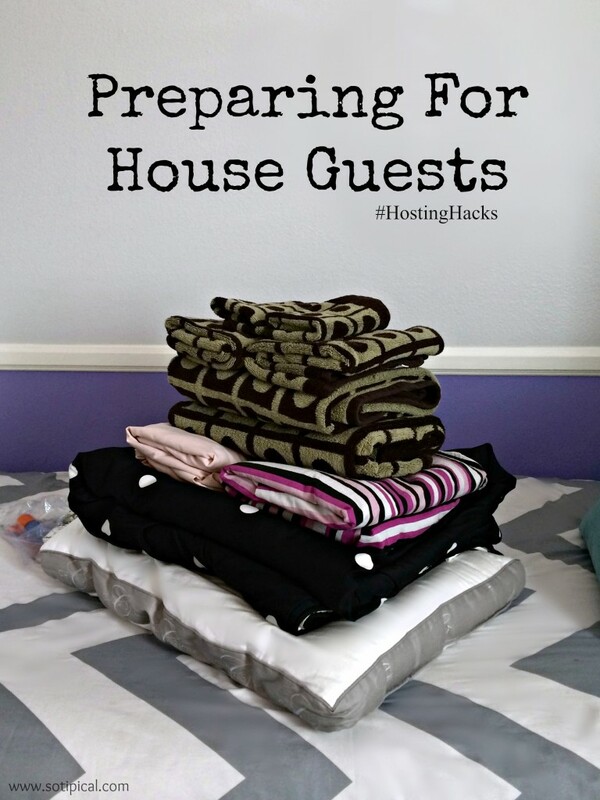 What are some of your hosting hacks and tips when preparing for house guests? Let me know in the comments below! Great ideas. I’ll have to keep them in mind . Great Idea!!! I will be using it very soon. Thanks. What fabulous tips on making guests feel welcome!! They may not want to leave…. 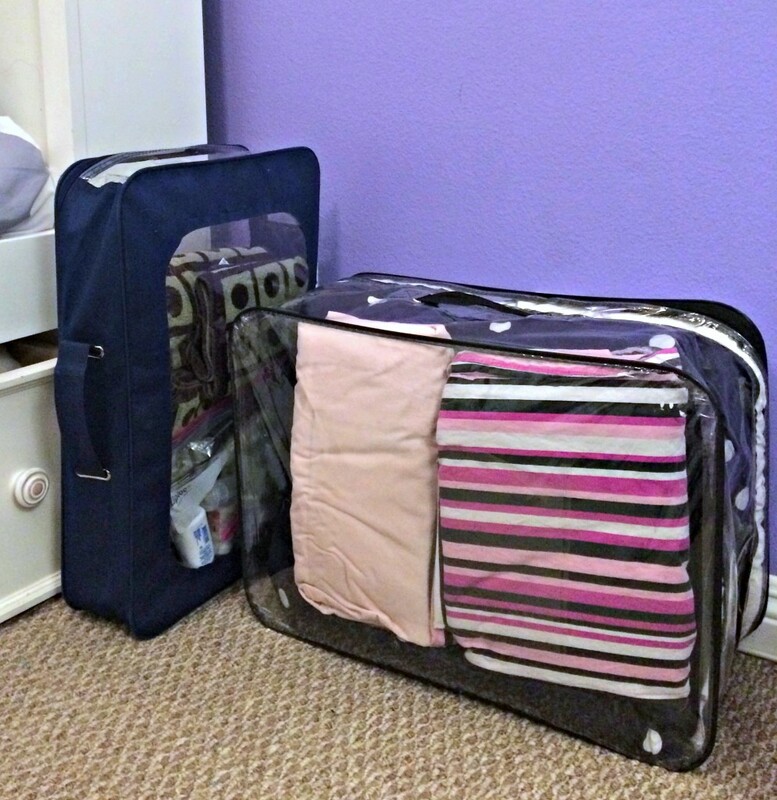 I love keeping those plastic cases/bags that bedding comes in and using it to store things! This is brilliant! I will definitely be doing this before the Holidays. Also, can you come to my house and clean my closets!? I would give anything to have a closet that looked like yours! This is a stroke of genius! I absolutely love it. 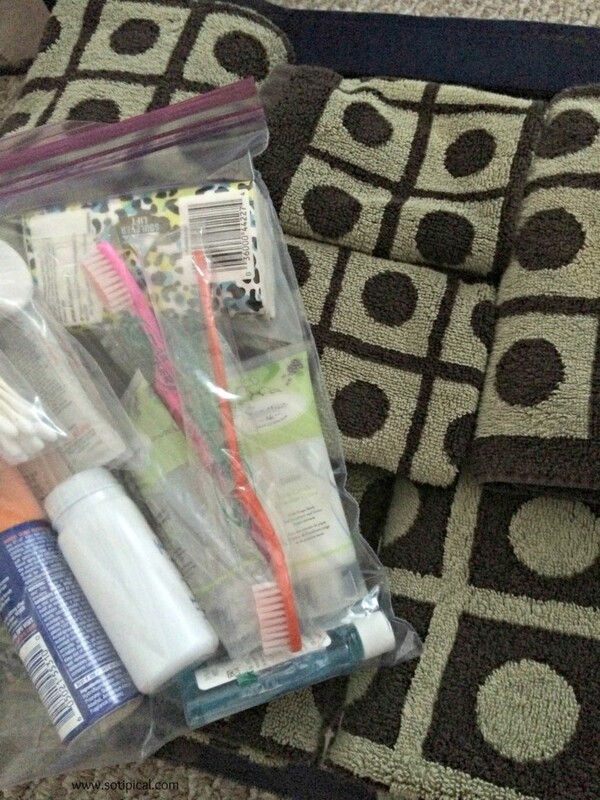 The toiletry bags are so thoughtful, too! Thanks Tara. I mainly put things in that I’ve forgotten when traveling or that my guests have asked me for in the past. Lots of great ideas and tips! Thanks for sharing! I would love to have access to one of the awesome kits when I stay with someone, so I know I need to implement that with my guests. Thanks for the great idea! These are great time savers, I always seem to be rushing around right before guest come! Thanks. I was always rushing around at the last minute. This has really helped me to slow down and feel more prepared. These are great ideas and you make having guests a breeze. I also like to shop at Costco and now I can make up some cute kits for the next visit which may be in a couple of weeks. Thanks for sharing this on Tips and Tricks and please stop back again next week. These are great tips! I love reusing the plastic things for bedding! Great ideas. I already implement some of these things including keeping the bedding in the plastics. Thanks for sharing. Love this! I’m going to use this as a guide for my holiday house guests. Great ideas! I keep those bags too, but I’ve never considered storing items a guest would need. I’m going to make a “Sleepover” bag too! Thanks for the inspiration! Great ideas in preparing for house guests. I am definitely going to give some of these a try. I find a little organization leads to a much less stressful life 🙂 Sometimes we overlook just how simple it can be though. I love this! We’re hoping to have more overnight guests now that we live away from my family. This is a great list to help prepare for guests! I don’t think we will be having any house guests this Christmas but I should still go through this list and make sure everything is clean! I wish I had a separate guest room and bathroom! It would make things easier for me. I have to deal with relocating one of the kids when we have guests, so it adds to my list. I wouldn’t mind having to just clean! Loving these suggestions! I am so disorganized when it comes to hosting guests and more often than not, I’m not prepared. It’s the worst when the run out of toilet paper…ugh, lol. Thank you so much for this post. I think you’re ideas are going to help me have a much smoother time next time we have house guests. Thanks Mary. Its because I’m disorganized that I found the need to do this! Hope it works for you too! This is a great idea. Thanks for the tip.